Australia’s Department of Foreign Affairs (DFAT) however, said it was “not aware of any Australian citizens currently detained in Xinjiang”. “In some cases, those individuals have Australian connections such as permanent residency or a spouse visa. Where Australian family members request us to do so, we have been making enquiries with the Chinese authorities regarding the whereabouts of these individuals,” the spokesperson said. There are an estimated 600 Uighur families residing in Australia, with a combined population of around 3000. “Some Uighurs spend hundreds of thousands of dollars to get permanent residency,” Majid from ETAA said. 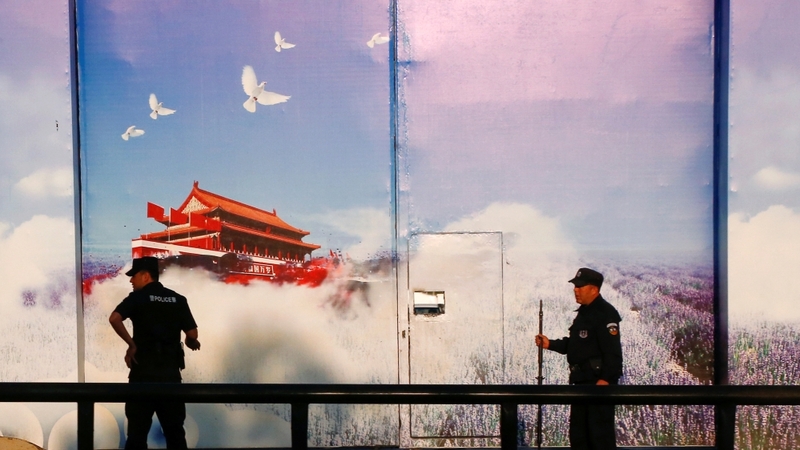 The Chinese government has in recent years intensified a crackdown against its Muslim minority population, claiming it is combating extremism and the “ideological illness” of Islam. Beijing issued a decree in January announcing that it aimed to “Sinicise” Islam to make it “compatible with socialism” within the next five years. A United Nations human rights panel last August claimed that more than one million Uighurs and other minorities were being held in what resembled a “massive internment camp that is shrouded in secrecy”. Those outside of the camps have been subject to surveillance and suppression of their ability to practice Islam, in what some have deemed “cultural genocide“. Nury A Turkel, a board member of the US-based Uighur Human Rights Project who met with members of the Uighur community around Australia in late 2018, told Al Jazeera that “[the Uighur diaspora] are experiencing crippling anxiety because of their inability to maintain contact with their families”. Australia has joined the United States, Canada and other Western countries in calling for China to end its mass internment of Uighurs. Nevertheless, rights activists say the response from Western governments has been inadequate. “We haven’t seen the Australian government take any clear actions to help us,” added Majid. While New Zealand’s Prime Minister Jacinda Ardern raised the issue of the Uighur with Chinese government officials last year, her Australian counterpart Scott Morrison has not publicly spoken on the issue. Australia should work with its Five Eyes intelligence partners – the US, UK, Canada and New Zealand – to pressure China. The opposition Australian Labor Party has called upon the government to do more to protect Uighurs in Xinjiang – particularly those who are Australian residents.